Choc Chip Digital Website Design Internship 2018 , Applications Now Open. Interested in working in the digital media industry in website design & looking for experience? Choc Chip Digital is now opening up applications for the Website Design Internship 2018! 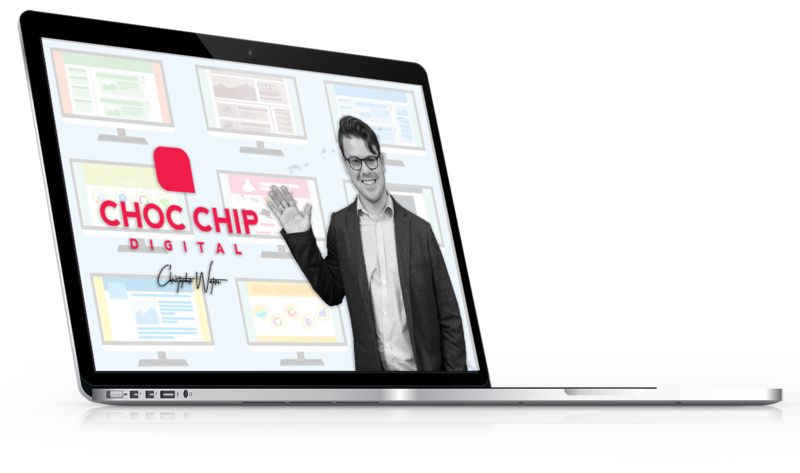 The Choc Chip Digital internship is a great way to jump into the digital industry, working in a agency that has delivered high quality digital results for over 15 years! The best part about pour internship is that you don’t need to travel to Melbourne, we are based in Geelong! Through the internship you will deepen your understanding of website design principles, techniques and processes with weekly focused training with. Through the program you will also get hands experience on with real clients projects, learning what it takes to be a modern website designer in the industry. No where else in Geelong or Melbourne will you get this kind of education and experience. We are also always on the lookout for casual website designers and love employing our interns at the end of the program, if they have the talent! What’s involved in the internship? Weekly focused website design training, in coding, project management, asset creation, content creation, server management, webdesign principles. Commitment: flexible 16 hours week, for 6 months. Requirements: Interns need to provide their own laptop. Passion. Commitment to the program. Positive attitude. Desire to learn. Experience: website design or graphic design skills desirable, but not mandatory. At the end of the day we are really looking for committed talented individuals how would want to work in the industry… maybe even work at Choc Chip Digital as a website designer. Final internship dates, days and times will be decided closer to the end of the year once successful applicants have been chosen. Successful supplicates will be contacted via phone call & offered the opportunity to interview.